Fun is our main aim and we find our enjoyment is infectious for the crowds. It’s good exercise, cheap, enormous fun, and has taken us all over England, and to the continent where we have been warmly welcomed. Our performances mostly occur in the summer. We dance at village fetes, folk festivals including Folk East, as well as local and national Morris ‘Days of Dance’ where we meet many other sides. Sometimes we dance at local pubs in the evening. 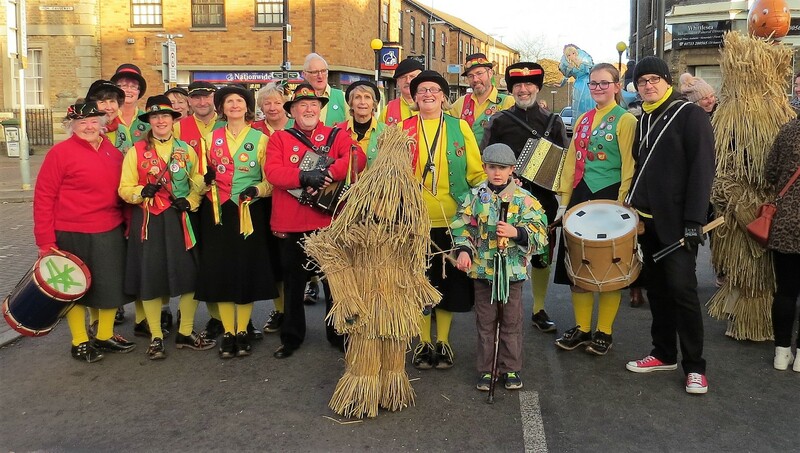 In winter we dance to collect for Children In Need [£593 last year] and meet on New Years Day, to dance away the cobwebs, with other local sides. Come and join us – new members are always welcome and really no previous dancing experience is needed.